2019 will be an important year for EProjectConsult. Of course, we are expecting a large number of Erasmus+ KA1-VET and training courses and we will also participate in several KA2 projects, but there is more. 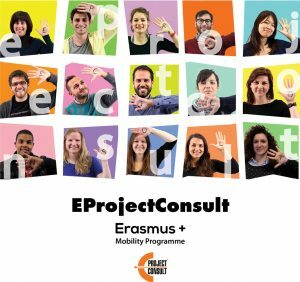 EProjectConsult has been active in hundreds of EU projects for many years in the city of Barcellona Pozzo di Gotto (Me) and we will keep on doing that in the future. However, we are going to expand our organisation. From 2019, EProjectConsult will not only offer all her services in the city of Barcellona P.G., but also in Catania! Catania is 2nd biggest city of Sicily with more than 300,000 inhabitants. The city is mainly known for the nearby presence of the Etna volcano and its beautiful baroque, ancient Greek and Roman architecture which makes it a very interesting city from a cultural and historical point of view. As the city is bigger than Barcellona, it might also have more to offer to interns when it comes to culture, nightlife and living experience. By offering our services in Catania, we might make it easier for people to enjoy a mobility project on Sicily. The city of Catania has an airport which means that people must travel less to reach their destination. Catania is known to be a city with a booming economy and with a very important industry sector. This means that there will be a lot of new opportunities for students to follow an internship. By offering our services in Catania, we will be able to more easily offer internships in the sectors of industry, I.T., logistics, renewable energy, research and many more! EProjectConsult will be represented by Angelo Giallongo and Ignazio Amore in Catania. Angelo Giallongo has studied international relations and will oversee finding the right internship opportunities and accommodation for students. Ignazio Amore used to study management and business administration and he will be responsible for the development of services and business matters in Catania. He will also manage the welcoming of interns and study visits. They will both make sure that interns will experience a marvellous experience in the beautiful city of Catania! For future updates about our presence in the city of Catania, please follow us on our social media. We hope to see you in 2019, either in Barcellona Pozzo di Gotto or in Catania!